This Sideboard provides ample storage with 3 cupboard doors and 3 drawers decorated with the square Tudor Rose and jug and bead moulding, respectively. Can be used separately or in connection with the complementary OC 2146 Dresser Top. Heritage is available in Chestnut, a warm brown colour that allows the character of the grain to show through. The Heritage finish is a combination of character oak and light distressing which gives the furniture an authentic and distinctive look. 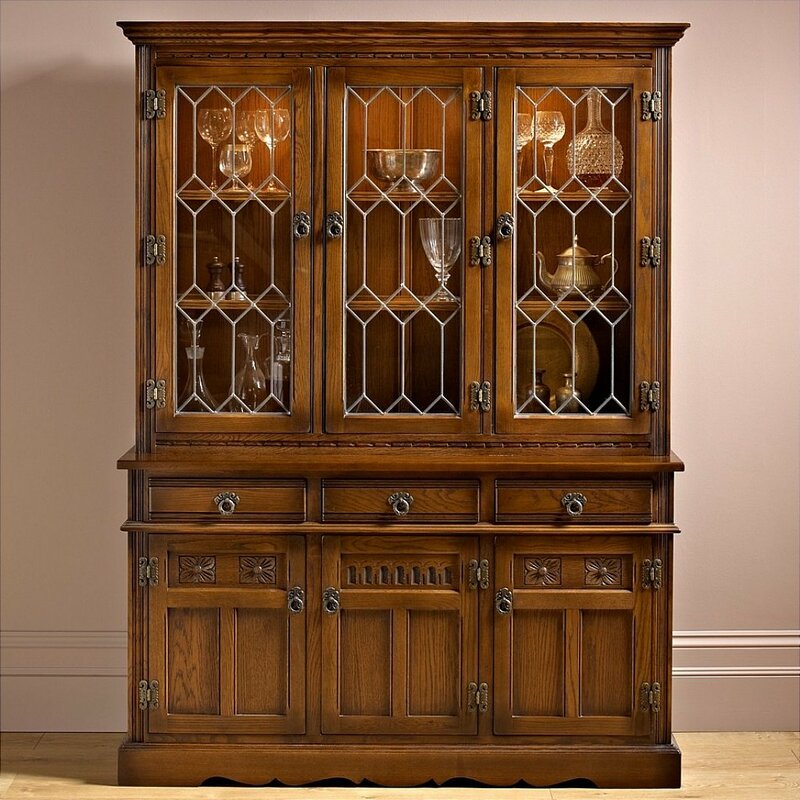 I would like more information about Lancaster Display Cabinet by Old Charm.